Thank you for visiting electricians Dublin 8. We are you local team of R.E.C.I. 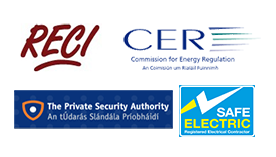 approved electrical contractors providing a complete range of electrical services throughout Dublin 8 and the county. With over 20 years successful trading behind us and some of our Dublin 8 electricians having over 30 years in the trade, we know you'll always be in safe hands. We have comprehensive insurance to the sum of 6.5 million euros and all of our work comes with our D8 electricians one year parts and labor guarantee. If you have an electrical problem you can count on us to help. 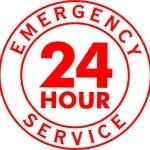 We have a team of emergency D8 electricians on call 24/7 ready to assist you as needed. We promise a response time of under an hour for all electrical emergencies (it can be traffic dependent). It doesn't matter what the issue is or if it's Saturday night or a Monday morning we are ready, just call 01-6874854 to speak to one of our team. A few of the services our electricians Dublin 8 team can provide. Fire alarms and burglar alarms. If you don't see the service you require, don't worry you can be assured we can do it. Our electricians Dublin 8 team service the following areas. Dolphin’s Barn, Inchicore, Island Bridge, Kilmainham, Merchants Quay, Portobello, South Circular Road and the Coombe. D8 electricians, great prices and superb service. We believe our prices are as good as anywhere that's why we advertise them on our website unlike some of our competitors. We are happy to come out to your premises to offer a free quote without obligation on any work you may need. We take great pride in all the jobs we undertake. All our staff are polite, friendly and courteous at all times and we will always go the extra mile to ensure complete customer satisfaction. For all inquiries, emergencies or professional, expert advice on any electrical issues call a local D8 electrician today on 01-6874854.